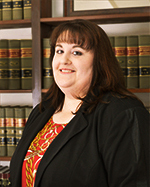 Ronna Kinsella - Glassman, Wyatt, Tuttle, and Cox, P. C.
Ronna Kinsella is an Associate with Glassman, Wyatt, Tuttle & Cox, where she has been practicing since June of 2010. Prior to joining the Firm, Ms. Kinsella worked for a local Memphis firm for more than four years practicing primarily in the areas of products liability and commercial litigation. She has also previously worked with two other area firms handling cases in the areas of bankruptcy, family law, personal injury, and medical malpractice. Ms. Kinsella currently enjoys a diverse practice, assisting individual and corporate clients in the areas of personal injury, wrongful death, products liability, professional malpractice, trucking defense, business litigation, premises liability, and appellate work. She has successfully represented clients at both the state and appellate level throughout Arkansas, Mississippi and Tennessee in both state and federal courts. She has been recognized as a 2014 “Rising Star” by Mid-South Super Lawyers magazine. Comstock v. UPS Ground Freight, Inc., 2013 U.S. Dist. LEXIS 104887 (E.D. Ark. July 26, 2013) – Obtained dismissal with prejudice of a personal injury/wrongful death lawsuit brought against corporate client and driver arising from a rear impact accident in Arkansas when it was discovered that the plaintiff and her counsel had intentionally misrepresented facts, withheld information supportive of the defendants’ position, destroyed evidence, and failed to abide by the court’s order related to discovery production. Comstock v. UPS Ground Freight, Inc., 2014 U.S. App. LEXIS 24554 (8th Ark. Dec. 30, 2014) – On appeal before the Eighth Circuit, successfully argued for the affirmation of the trial court’s dismissal of the plaintiff’s personal injury/wrongful death lawsuit with prejudice. Farmers Ins. Exch. v. Shempert, 2014 Tenn. App. LEXIS 46 (Tenn. Ct. App. Feb. 3, 2014) – In a declaratory judgment action filed by an insurance company to determine the applicability of uninsured motorist coverage, successfully argued on appeal that the declaratory judgment action was barred under the doctrine of prior suit pending where the coverage issue was already raised in a previously filed lawsuit between the parties, resulting in a dismissal with prejudice. PNC Multifamily Capital Institutional Fund XXVI Ltd. P’ship v. Bluff City Cmty. Dev. Corp., 387 S.W.3d 525 (Tenn. Ct. App. 2012) – Successfully defended against a complex legal malpractice lawsuit and various other claims brought against two corporate entities, ultimately resulting in a confidential settlement. In addition to her practice, Ms. Kinsella has served as a volunteer for local Wills for Heroes and free legal clinics in the area and presented a CLE to recently admitted attorneys on Ethics in Discovery. In her spare time, she assists with her family’s business in Collierville, Tennessee and is the proud “mom” of three rescue dogs.